Welcome to Day 78 of 100 Days of Disney here on The Purple Pumpkin Blog! Be sure to check out all of the other posts in this series, and if you would like to share your own Disney blog posts or pictures, make sure you check out the #100DaysOfDisney Link Party! Ever since we went on our very first trip to Walt Disney World in 2011, I have written a trip report – I wrote them to keep diary of our “once in a lifetime” holiday and to share on the Dibb – the Disney forum I belong to. I then shared them on my blog, and, as it turned out, that once in a lifetime trip, has now become not just a twice, but also a thrice! 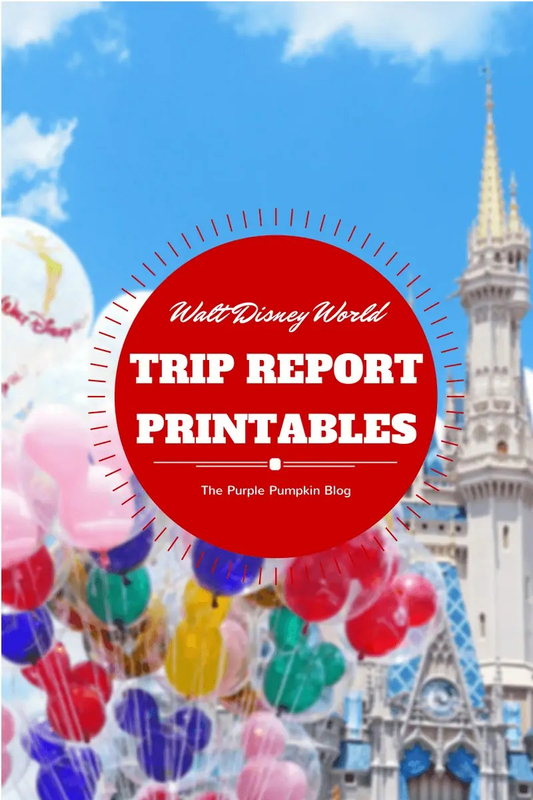 I thought I would create some free printables to share with you today, so that if you’d like to write your own trip reports, you can use them as prompts. I personally take a notepad with me on holiday and each night, in bed, I write about the days events – where we went, what we ate, how much things cost and other info like how we felt, what the weather was like, things we didn’t like…this gives me loads of information to then come home and type up a full trip report to share with others! I still share my reports on the Dibb, and I will continue to share them on my blog. I love writing my trip reports, they’re great to look back on and read through, they’re great to share, and they can be really helpful for others to read as it gives a guide as to what a real holiday to Walt Disney World can be like, rather than just a guide book with the facts! 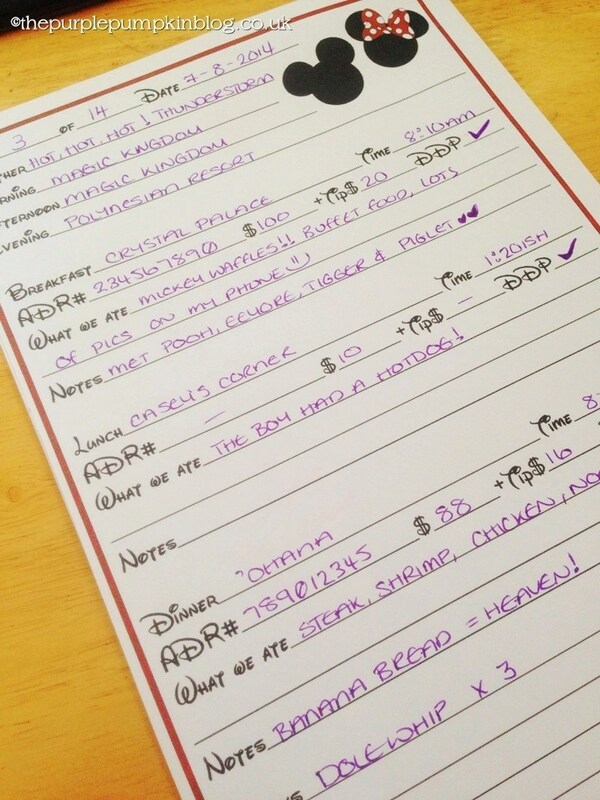 Dining & Snacking – you can keep a note of where you ate for breakfast, lunch, dinner including the cost, tip, if you used the Disney Dining Plan, and any other notes you want to make. There is also a section for snacks you bought. Rides & Attractions – keep track of the rides you went on, the parades you saw and the characters you met. There is a small section for notes. Note Keeping Continued – and if you run out of room – even more lines to write on! They fit on an A4 sheet of paper, but you could scale them down to A5 if you so wished! I’m hoping that filling them out is pretty self explanatory, but just incase they aren’t, here is an example of one that I filled out…but hey, it’s your trip report, fill it out just how you like! I hope you have a go at writing your own trip reports and find these printables useful! Day 78 of #100DaysOfDisney is done – 22 to go!